There’s something spectacular about seeing a huge waterfall in the flesh; so much so that it can often be the big draw for visiting a particular destination. After all, these plunging, watery forces are ultimately nature at its most raw – they’re forged by the environment, geology and the greatness of our planet. Here we’ve picked out some of the best cascades on earth, each one a superb sight and undoubtedly a waterfall worth travelling for. Passports and ponchos at the ready! HOW? Feel the thunder on our Canada: East Coast Wonders Journey. 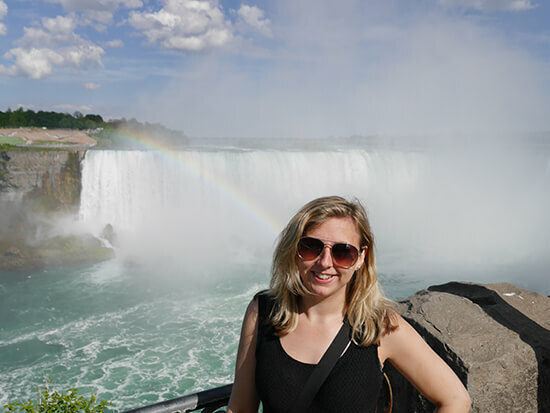 Arguably one of the most well-known falls in North America, Niagara and its three cascades has long attracted visitors from all over the world. No surprises there really – not only is the drop of the Canadian ‘Horseshoe’ Falls a whopping 50.9 metres alone, but it also sees over 2.2 million litres of water tumble over the top every second. If that doesn’t impress you, imagine seeing it after dark, illuminated by technicolour spotlights and – on certain weekends and public holidays – a canopy of fireworks. HOW? Visit Reykjavik on our New York-Iceland stopover flight, and tour the nearby Golden Circle to see Gullfoss, the spluttering water jets of Geysir, and Thingvellir National Park, where the country straddles two continents. Whether it’s dripping with icicles, blanketed in thick snow or bordered by glorious greenery, Gullfoss is the falls of legends; throw in a rainbow and a unicorn and you’ve got a scene straight from a Nordic fable. Particularly beautiful are its giant crags and gorges, interrupted only by crashing water. 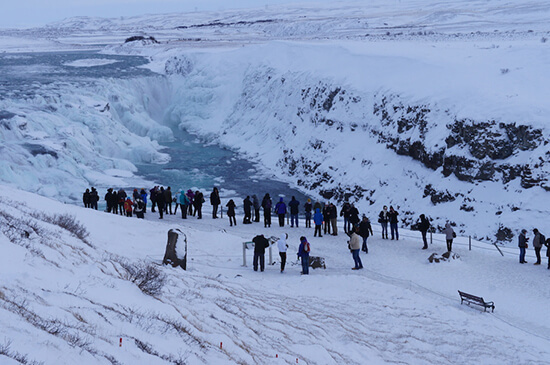 And, if you’re lucky enough to visit on a sunny day, you’ll see how Gullfoss (Golden Falls) earned its name – the water below takes on a golden colour as it crashes into the Hvita River. HOW? 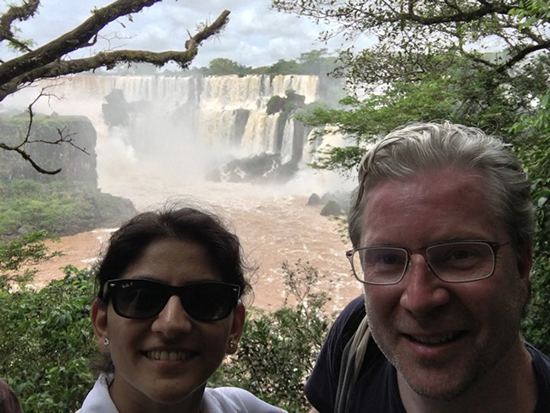 Explore Buenos Aires, Iguassu and Paraty on our Iguassu & Beyond group tour. Vic Falls may be taller, but Iguassu has the numbers. 275 individual drops, splitting up Brazil and Argentina, make this waterfall one of nature’s greatest spectacles. All-in-all they stretch for 1.7 miles, with cascades falling between 60 and 82 metres. On paper, it’s taller than Niagara and twice as wide – not a bad accolade. But it’s not all numbers: this natural behemoth exudes beauty too, surrounded by lush wildlife-inhabited jungles so impressive that they’ve gained UNESCO World Heritage status. HOW? Speak to one of our Travel Experts about tailor making your ultimate South America Journey, exploring Angel Falls and all Venezuela's big draws. Angel Falls is the king of waterfalls. At 979 metres (that’s taller than 216 London double decker buses or the towering Burj Al Arab in Dubai!! ), it is officially the highest uninterrupted cascade on the planet. But, more importantly, it’s easily one of the most beautiful. The emerald tendrils of the flanking jungle drip down the sides of the Auyantepui mountain, adding depth and texture to its cloud-shrouded crags. The landmark’s isolation also makes it one of the best waterfalls for intrepid travellers looking for an off-the-beaten-track adventure. HOW? 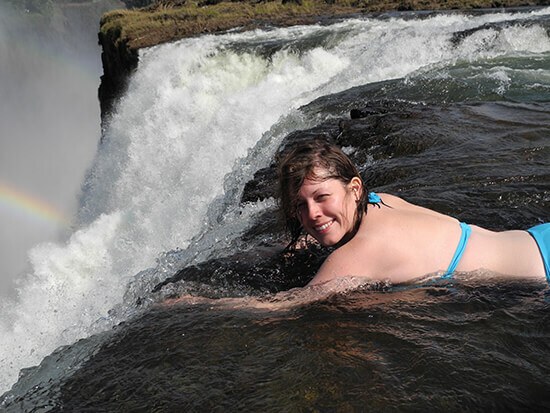 Experience Victoria Falls National Park on one of our many tours to and around the falls. They say size doesn’t always matter, but when it comes to waterfalls that’s definitely not the case – as Victoria Falls proves. Plummeting as high as 108 metres, it is easily one of the tallest. It hits the water below with such speed and force that its mist can often be seen from over 12 miles away, hydrating the surrounding jungle and refreshing visitors. And then there’s the Devil’s Pool. This natural infinity pool forms along the lip of the falls in the drier months (Aug-Jan) and is only for the brave (see: crazy). All that stands between you and that huge, aforementioned drop is a slimy underwater rock. HOW? 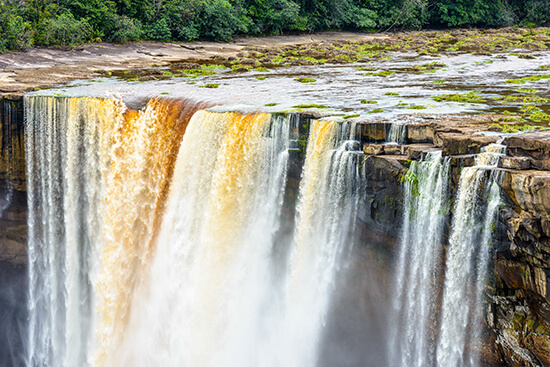 Want to explore Guyana and the surrounding countries? Speak to one of our Travel Experts about tailor making your adventure holiday to South America. If you prefer your waterfalls wide, Kaieteur Falls has the answer. The fact it stretches for 113 metres and plunges from 251 metres makes its cascade even more dramatic. Thundering from the Potaro River, this vertical water curtain forges a path through the lush rainforests of Guyana, bringing a roar to an otherwise peaceful, remote locale. The ballsy can even stand at the very edge of this one, gazing out over its sheer death-defying drop. HOW? Laze on Croatia's sands on an Escape to Croatia, staying at the five-star Hotel More from just £625pp. 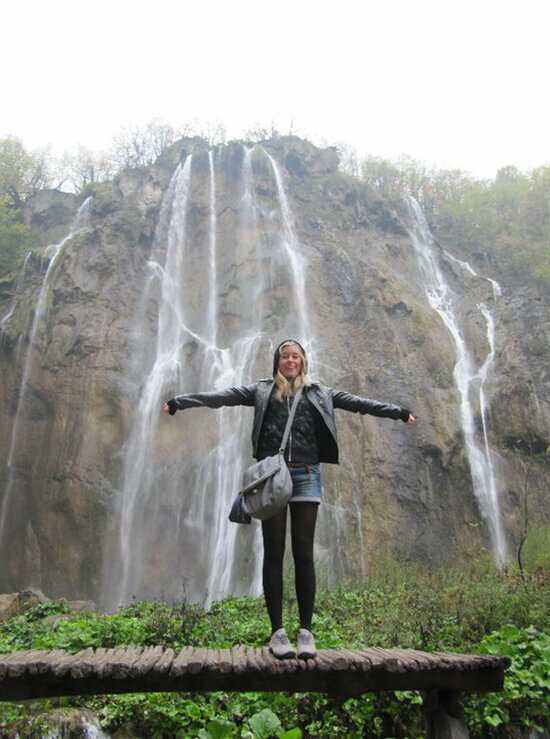 Speak to your Travel Expert about adding in a Plitvice tour. The mineral-rich waters of Plitvice Lakes National Parks look as though they’ve been filtered direct from the turquoise oceans of some far-off tropical land. There are 16 of them, each one tumbling into the next to create a series of waterfalls and cascades that look almost ethereal – particularly when you combine that with the scores of butterflies flitting around the lakes and along the walkways. If you ever saw FernGully: The Last Rainforest as a kid (or indeed, as an adult), you’ll know what we're talking about. HOW? Discover the country's icons on our Best of Both Islands Journey, a New Zealand holiday that will take you from Auckland to Christchurch from just £3,255pp. If you’re visiting the South Island, Sutherland Falls should be near the top, if not at the top, of your list of things to do. 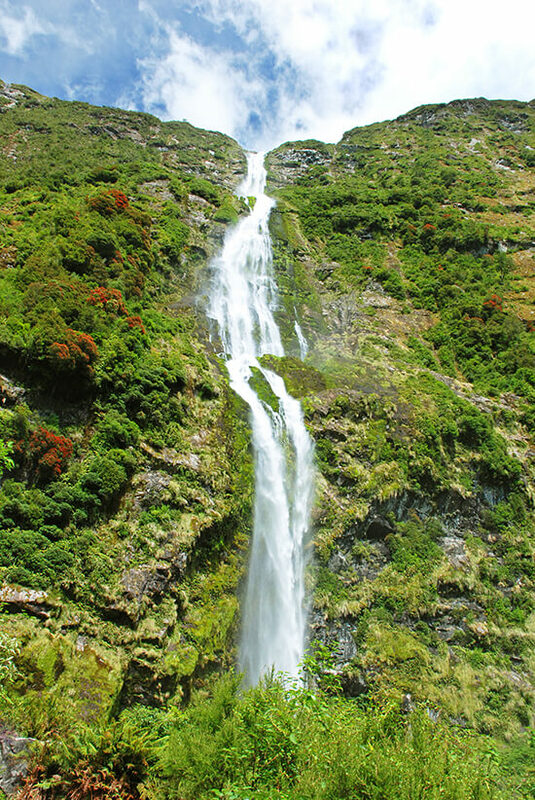 Located in the Fiordland National Park, it’s made up of three cascades, each spilling into one glacial basin below. From above, it looks as though it’s just one big waterfall, flanked on either side by the lofty peaks. Come shine – or more likely, rain – this waterfall is impossibly beautiful. It’s loud too: you won’t be able to talk to your travelling companions over its roar – not that you’ll want/need to.